Another SCG Regionals is in the books. I had to change that link, by the way—in some crazed stupor, I accidentally waded through the results of the Season One Regionals tournaments from February (yes, the ones I even placed in) and wrote a 3,000-word article about all the rogue decks at those tournaments, which I found very impressive (wow! That’s a lot of Bant Eldrazi! And where’s Grixis Shadow? Didn’t David say the deck was well-represented? Cool, Naya Landfall! etc.). (To my credit, is this page not a little misleading?) But then I figured it out and, after breaking some dishes, wrote this one. I did briefly wonder if I couldn’t just find a way to publish the other article. It might earn a few laughs, after all; me closely analyzing Amulet Titan’s positioning with opponents loading up on grave hate and damage-based sweepers to beat combo, for instance. But of course, no luck. Besides, I know I’m not alone in wanting to see the technology unearthed this time around. Working so directly with last season’s decklists, though, and now this season’s, revealed something to me: there are far fewer rogue decks this time around. Still plenty of juicy developments, of course. Just far fewer rogue decks. For a detailed metagame breakdown of the events, check out David’s piece from earlier this week. But today, we’ll be looking at the Top 8-reaching decks that stood out the most to me. Hopefully the hot takes included here won’t be read as hard-and-fast endorsements or dismissals of the decks at hand. Instead, consider this article something like a guided tour of this weekend’s peculiarities. And that’s all the preamble I’ve got left in me! While it’s no surprise to see Ryan on a Grixis deck, it’s impressive he managed to Top 8 with Grixis Control, an archetype thought dead ever since Corey Burkhart stopped topping with the deck in February. The former Delver aficionado has come around on Fatal Push, but is as high on Spell Snare as ever despite its shared coverage with the Aether Revolt removal spell. The rest of Ryan’s spell suite is similarly streamlined, down to the 4 Terminate/4 Mana Leak non-split. Divergence from this radical four-of approach comes only in the creature suite, which is surprisingly skimpy in light of the recent complaints of threat-lightedness leveraged against Grixis Shadow, and given the lack of Creeping Tar Pit. In all honesty, the card that seems to carry this build is Opt. Opt is a spell I mostly decried as superfluous upon its release, but the focus of my analysis pertained to Delver strategies. These decks generally prefer to cantrip in the main phase in case they hit something they want to cast immediately, like another threat. Grixis Control is markedly more reactive than any breed of Delver, making Opt a smoother fit. But the primary reason the card has earned inclusion in even Grixis Shadow decks, which have plenty to do in the main phase, is also the reason it shines in this shell: it’s amazing alongside Snapcaster Mage. Opt gives Snapcaster players a highly proactive play to make on an opponent’s end step (body + a draw) should opponents tip-toe around such plays to rob Grixis of tempo (i.e. by refusing to cast a threat opponents could Snap-Push). The presence of Opt in the graveyard ends up forcing opposing hands, which incidentally improves all the removal and counterspells. Opt takes the place of Thought Scour here. While turn-two delve guys are nice, Ryan’s deck wants to grind opponents out the old-fashioned way, so that extra velocity winds up not meaning much. A scry and a draw, though, helps get to the correct four-ofs faster. Anticipating a field of Shadow, Eldrazi, Affinity, Storm, and Company, I think this deck looks pretty good. I bet its Jeskai matchup needs work, but you can’t beat everything, and hey, I could be wrong. Modern Nexus just did a feature on BR Hollow One, a shell taking advantage of looting effects with Bloodghast and Flamewake Phoenix. That deck seems to be the evolution of the Vengevine build innovated by Julian Grace-Martin earlier this year. And yet here’s RG Hollow One again, piloted by James Townsend to a 6th-place finish. This larval version of the deck packs a Become Immense/Temur Battle Rage combo super-charged by hasty one-drops Goblin Guide and Monastery Swiftspear. Those same one-drops bring Vengevine back from the dead, and the green giant joins Hollow One as another four-power creature. Hooting Mandrills rounds that crew out, its trample adding relevance to Become Immense in lieu of a Battle Rage. Much brainstorming has been done around finding an optimal shell for Hollow One—after all, a big body that comes down for one or fewer mana and doesn’t die to Fatal Push or Lightning Bolt at least seems to fit the playable-in-Modern bill enough to be worth building around. Strategies have ranged from RG with Vengevine to Jund with Death’s Shadow to greenless with Shadow to now BR without it. I don’t think James’s finish demonstrates the cycle closing, but rather an outdated build. For one, it can’t be right to omit Flameblade Adept. Vengevines, Shadows, or neither, the card represents the deck’s best possible turn-one play and is disgusting in multiples. Adept lacks haste for the Battle Rage combo, but I think it’s good enough to merit consideration regardless. Second, Burning Inquiry is a fantastic enabler in this deck, and perhaps superior even to Faithless Looting. A single Inquiry lowers Hollow One‘s cost to zero, while Looting and Reunion make it cost one (plus the cost of the discard spell, which gives it an unexciting cost of three in Reunion’s case). Inquiry may be less of a necessity, though, without a critical mass of cards that like to be discarded; I have sometimes found the card lacking in my my more dedicated Shadow/Delve builds, anyway. It also clashes with the Battle Rage combo, which requires multiple parts to function. It will be fascinating to watch these decks continue to evolve as Hollow One carves out a niche for itself in Modern. Already we’ve seen the deck tentatively toe the line between abusing the graveyard and losing to graveyard hate, but I bet it settles into a constant shell in a couple of months. Infect is back, and taking names—mostly, it seems, in the hands of Zan Syed. Zan’s big innovation is moving from Spellskite to Jace, Vryn’s Prodigy, which is a more immediate threat and equally magnetizes enemy removal. The difference? 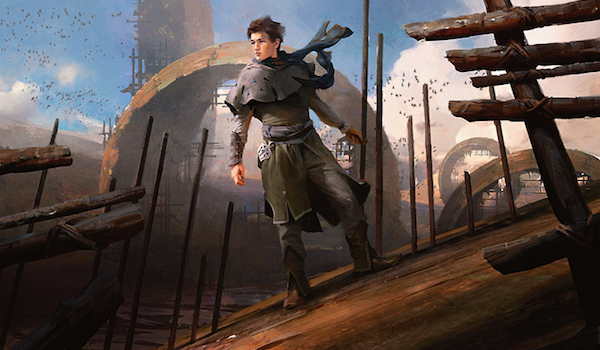 If opponents don’t have an answer on sight, Jace will transform and start generating advantage, pressuring opponents from an angle Infect’s never had access to. With Jace’s looting effect, Zan also finds a way to make Become Immense work in multiples. Although he can’t quite justify a full set without Gitaxian Probe, he gets darned close at 3 copies, and Immense is the card that truly makes the deck. As of Khans of Tarkir, Infect has existed in some capacity to check linear combo decks that skimp on creature interaction. The rules of Modern are, simply: no top-tier deck may consistently win the game before turn four. Combo decks that don’t win with creatures are those most likely to be banned on this metric, since it’s harder for opponents to interact with them and their early kills are therefore guaranteed. Aggro decks that goldfish a similarly early win rate, though, are protected by the losses and later kills guaranteed when playing against interactive decks. So, unless a combo deck is doing something it shouldn’t, which is invariably addressed by the banlist, aggro-combo decks remain a turn faster than linear combo decks and exist to check them. Enter today’s Modern, where Storm is format boogeyman. How many Lightning Bolts does that deck play? So long as combo represents a significant portion of the metagame, Infect should remain a constant in Modern. It just didn’t have any room to breathe while Death’s Shadow was taking the format by, uh, storm. Notice anything special about this Jund deck? If you follow Modern closely, probably not. Blood Moon has been creeping in and out of Jund sideboards with some frequency since Eldrazi Tron rose to take on Shadow decks. Goblin Rabblemaster has become more of a constant within the archetype for its ability to produce a ton of pressure out of nowhere, providing Jund with the proactiveness prized in an open metagame. For everyone else, though, who got the memo that Jund was dead and Shadow now rules Modern, this list is possibly breathtaking. Both the threat suite and the manabase receive a makeover to accommodate Blood Moon, with Raging Ravine dropping to two and four-drops completely abandoned. In truth, Moon makes a lot of sense out of Jund. Sure, it’s weird with fastlands and Raging Ravine. But combined with the pressure Jund is able to come up with, of, say, a Confidant or a pair of Goyfs, it puts games away quite handily against the archetype’s deadliest opponents: Eldrazi and Tron. And, er, Eldrazi Tron. Not to mention Scapeshift. Kelsey is a big fan of these Moon-featuring Jund decks and has even transitioned to playing Jund herself, leaving me alone on Counter-Cat. Every time I tried to take the Moons out, she’d tell me the card was the reason she wanted to play Jund in the first place. 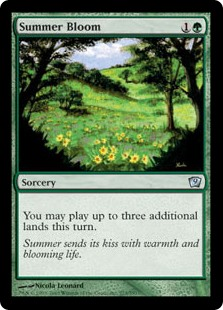 That made little sense to me at first, but the enchantment is shaping up to be a legitimate tech choice for Jund Midrange, and I’m excited to see whether players adopt it more sweepingly; not only is big-mana here to stay, but interactive decks like Shadow and Humans are churning out increasingly greedy manabases. And speaking of greedy Shadow manabases, here’s David Salazar’s Delirium Shadow. SCG has this deck named “4-Color Shadow,” and I’ve seen exact replicas of it with a Godless Shrine and Lingering Souls in the sideboard called “5-Color Shadow.” Others still call it “Jund Shadow” after the deck that started it all. These decks all share one core, though, and that core revolves around Mishra’s Bauble, Tarmogoyf, and Traverse the Ulvenwald. The most common route to take these days seems to be to play all five colors, relegating the white splash to the sideboard for souls and Ranger of Eos. Some versions go straight Jund. Others still go Jund with Souls in the side. And the occasional weirdo plays Sultai or Abzan. Red is usually included, though, for its incredible utility spells: Kolaghan’s Command, Ancient Grudge, and the supremely divisive Temur Battle Rage, which some players swear by and others despise. David passes on those here; I love them. The reason I featured this list: it’s the first I’ve seen to omit the white splash but still run blue. David must have liked his grindy plan enough without Lingering Souls, which surprises me since he’s on only two Lilianas (many lists run a third). More likely still: David wanted to include graveyard hate, which Delirium Shadow decks are starting to cut. The coverage from Stubborn Denial and Temur Battle Rage tends to eliminate the need for Nihil Spellbomb or Surgical Extraction. I wonder if the bluffing dimension influenced David’s deckbuilding choices. Opponents are likely to put him on Temur Battle Rage in game one, as it’s still in the majority of Delirium Shadow lists. Threatening the aggro-combo win is sometimes even better than actually having it, especially against interactive decks; perhaps David picked up some grinding points that way. Surgical Extraction, too, enables surprise blowouts; this card is far more common out of Grixis, as Delirium usually prefers Spellbomb for its card type and utility in fair matchups. Finally, Ghor-Clan Rampager and Maelstrom Pulse are two other little-seen cards in the archetype that earn slots in the sideboard, and that can catch opponents off-guard; both relics from the deck’s infant stages. David can still aggro-combo enemies by tutoring up the bloodrusher, or randomly have an answer to some gross permanent opponents put too much faith in. In case I haven’t made it obvious, I personally have been putting in reps with Delirium Shadow (featuring both splashes) and love the way the deck plays. It attacks players on every level: in hand via discard; on the stack via permission; on the board via removal; during combat via Battle Rage. Best of all, the mana’s so good any hate card can be included. Despite Grixis Shadow’s apparent stranglehold over Modern’s Shadow decks, I think the limitless possibilities of Delirium Shadow ensure its status as a competitor in the format for the foreseeable future. There you have it: the Season Two Regionals innovation. No breakout decks or stunning rogue surprises here. But the developments we did see are still promising from a diversity standpoint—Jund and Infect clawing their way back into the metagame, for instance. Modern might be a new dog’s game (Collins Mullen continued his winning streak with yet another 1st-place finish), but its old dogs can still learn tricks. Great read and thanks for posting my list. Thanks for the finish! Care to explain all the Rabbles main over some kind of split with Huntmaster or another four-drop? Were you hedging against big mana decks? So the call was mainly hedge towards closing games out faster. The four drops like kalitas, Olivia, and huntmaster are all great but don’t close the game out 2 turns after the land most of the time. Also the combo decks on the rise it’s really important to match your disruption with pressure and next to goyf rabble can just end games. Also with 3 moons in the board if in a bind you can moon yourself with rabble in hand and still have a shot to win. Overall deck feels really good in the meta with affinity humans and such but this version does struggle more against burn than previous. Very cool. Appreciate the insight and congrats.